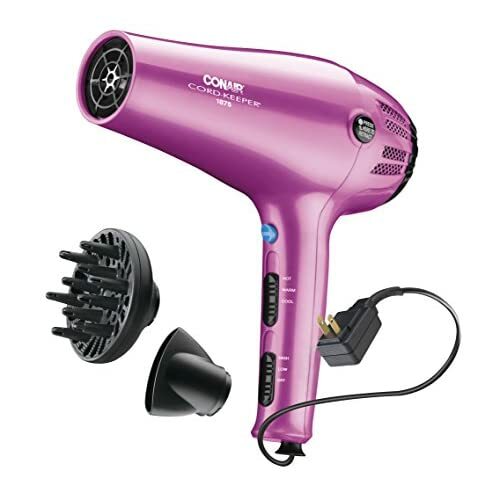 The 1875 Watt Cord-Keeper Hair Dryer from Conair is delivers ultimate style control. The cord keeper handle allows for the cord to retract by the push of a button for easy storage. 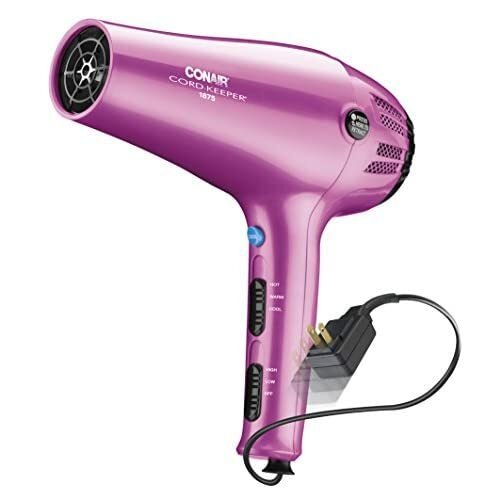 The Conair 209 Cord Keeper Hair Dryer has ionic technology which controls frizz for smooth, shiny hair as well as tourmaline ceramic technology which provides uniform heat for fast drying and less damage. 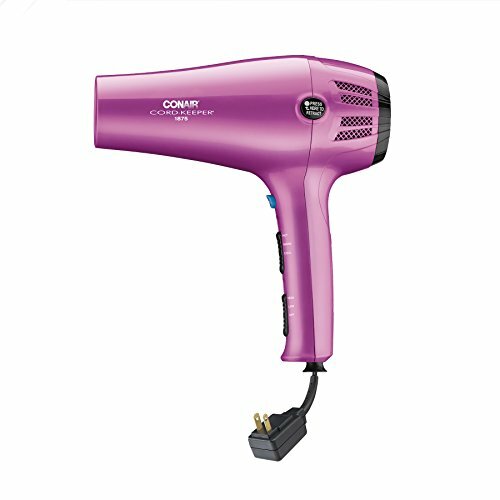 It has 3 heat and 2 speed settings for custom styling plus a cool shot button to lock style in place. 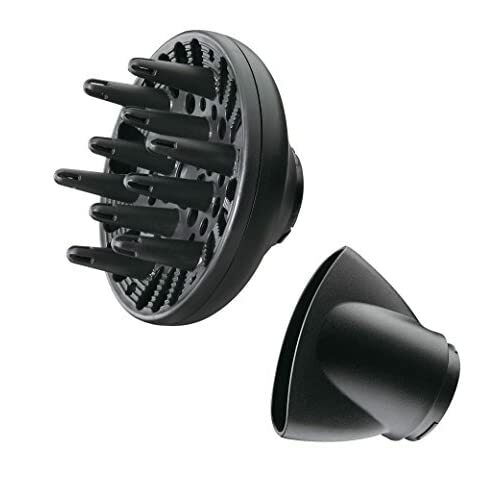 Also includes concentrator for focused airflow when drying and straight styles.